In 1897 the tiny town of Bream Creek hosted its inaugural community show in the pavilion at Coppington. The focus was the judging of farm produce, from butter to bread, needlework and cookery. It was an unequivocal success. Today, the Bream Creek Show is an iconic Tasmanian event. It takes place on the third Saturday of March each year and has kept at its heart the old-fashioned country values under which it was conceived. The next Bream Creek Show will be on March 21st, 2020. True to our belief that a wonderful family day out shouldn't cost the earth, we try to keep our entry prices as low as possible. Entry costs $10 per adult/$5 per child or $25 per family (2 adults, and up to 4 children). 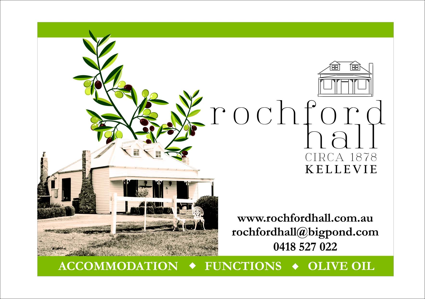 At other times of the year, the Bream Creek Showground is available for hire, dependant on availability. Please contact us at hire@breamcreekshow.com.au for the Terms and Conditions and an application form. 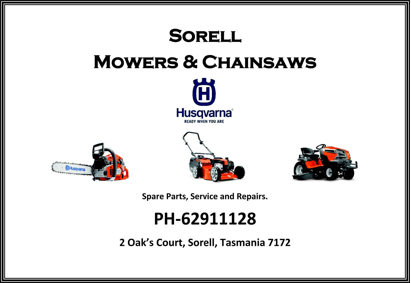 The Bream Creek Show would not be possible without the support of the Tasmanian Government, the Sorell City Council and all of our sponsors. Thank you to all our 2019 Platinum Sponsors. Bream Creek is a small rural community in Tasmania's South East. Its scattering of cottages, houses and farms are nestled into the hills of the Ragged Tier. It takes it name from a creek full of Bream, located near the glorious Marion Bay beach. It was this part of Tasmania that Abel Tasman made his first landing, guided by the light of the fires of the Pydarerme people of the Paredarrerme language group, the original custodians of the land. One of the giant pumpkins. Bream Creek's climate, its rich soil and high rainfall brought white settlers who in turn brought sheep, crops and dairy to the region. The ideal climactic conditions have sustained agriculture in the region since. The inaugural Bream Creek Show was held in 1897 as "a show of produce under the management of the Board of Agriculture for Bream Creek". By 1899 there were more than 500 entries in the show, in all classes of agricultural and horticultural produce, and visitors arrived from Hobart Town by train, horse or coach. A bullock peers over at the crowd. In those days it was the social event of the year, and people dressed in their very best. An elderly lady, when she returned to the show in 1997 after many years of absence, declared "the women's dress is terrible! They wear trousers or anything!". The wood choppers are always a key attraction. Today, people still flock from all over the state and inter-state, with crowd numbers averaging 7,000. And while chasing a greasy pig or the "rev-'em-up" flag and barrel race have become taboo, the legacy of those early days can still be found in the laughter of children, the friendly hosts and the colourful cornucopia that is the Hall of Industries. To date, only twice has Bream Creek not hosted this iconic event - once due to war, and once due to a local outbreak of small pox.